Here's a great motivational quote you can share with friends as you like. 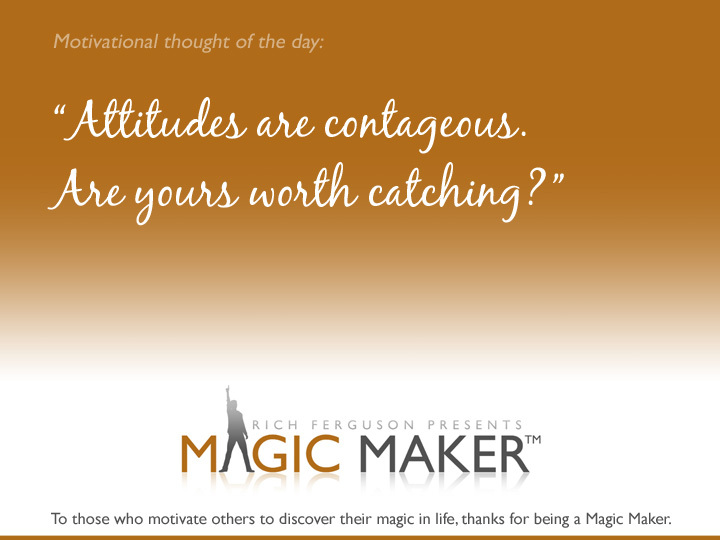 A bad attitude certainly affects yourself, but it also affects everyone around you! 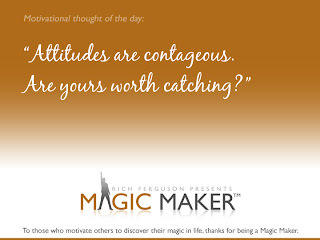 Attitude is one of the topics within the five areas of Magic Maker™- Magic is Motivation, Attitude, Goals, Identity and Communication. Enjoy.